The Cost of the Man Box, a new study from Promundo and AXE, Unilever’s leading male grooming brand, launches today, revealing that “man up” stereotypes – and the harmful behaviors they lead to – cost the United States over $15 billion each year. 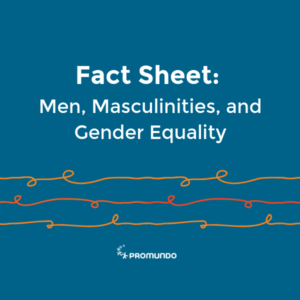 Promundo and Axe’s previous study, The Man Box, highlighted the prevalence of harmful ideas about manhood and their impact in the United States (US), United Kingdom (UK), and Mexico. The results showed that young men (ages 18-30) feel pressured to live up to a restrictive set of “act tough” expectations that cause real harm to those around them and to themselves. The findings from The Man Box study were so strong and alarming that Promundo and Axe partnered again to estimate the economic costs of harmful ideas about masculinity, in order to drive change. The Cost of the Man Box, launching today, estimates a minimum cost of $15.7 billion that could be saved by the US economy if there were no “Man Box.” The study also reveals that the Man Box costs the UK more than $3.8 billion and Mexico $1.4 billion. How was the cost calculated? 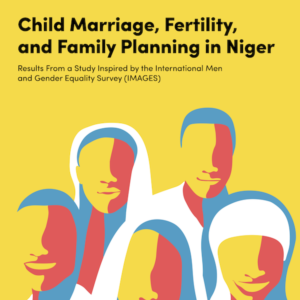 The study presents six key outcomes or consequences, as identified by The Man Box study, which show strong statistical links to harmful masculine stereotypes and have measurable societal and economic costs. These include: traffic accidents, suicide, depression, sexual violence, bullying and violence, and binge drinking. The study draws from available public health data to estimate the total nationwide prevalence of each of these six outcomes or consequences, and then uses a range of methodologies to approximate the costs associated with these outcomes. The full methodological details are available in the report. The amount needed to cover the final budget for the Centers for Disease Control and Prevention (CDC) for two years. College tuition, fees, and room and board for over 415,000 US students at public institutions per year. Nearly twice the annual revenue of the National Basketball Association (NBA). The costs of the Man Box are massive, and these numbers are only the minimum estimates. The comprehensive toll also must account for numerous additional outcomes that are unquantifiable – in particular, the massive range of traumas, pains, and lost opportunities that impact cis women and trans and nonbinary individuals in patriarchal societies, alongside many other immeasurable consequences. Parents and caregivers should: help guide all children, regardless of gender, in conversations that encourage critical thinking about gender equality and masculinity. 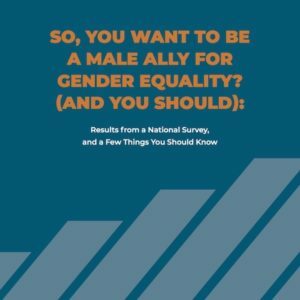 Schools and institutions should: make the topic of gender and healthy masculinity a core part of any teacher, guidance counselor, or other related professional training and champion the inclusion of transforming gender norms as a subject in school curricula and activities, building on existing evidence-based curricula. Brands, entertainment industries, news institutions, and all mass media should: normalize the inclusion of diverse, respectful, and healthy depictions of all men and masculinities, ending the use of harmful, outdated male stereotypes. Celebrities, influencers, and role models of all kinds should: embrace and model healthy masculinities, and work to inspire others to broaden their own definitions. Civic leaders, legislators, foundations, and philanthropic donors should: prioritize violence prevention and health education, including discussion of gender norms and healthy masculinities. They should support effective programs for young people of all sexual orientations and gender identities that encourage healthy masculinity, respect, consent, and equality. Public health professionals and local health departments should carry out campaigns that include messages about gender equality and healthy masculinities, and train and sensitize health providers in promoting young men’s help-seeking for mental health and other health needs. 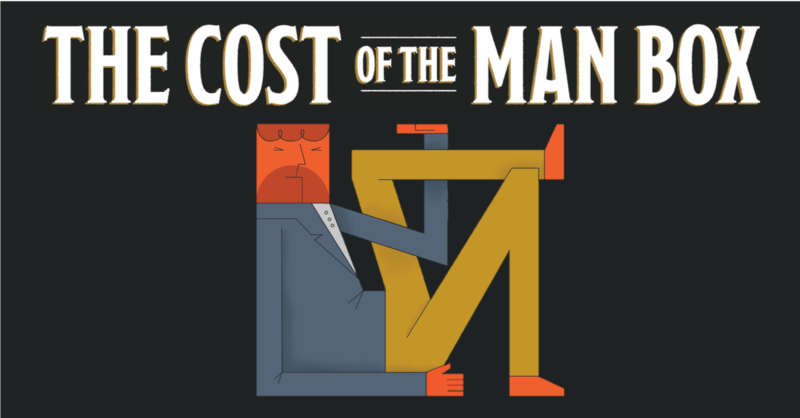 Explore the full findings in The Cost of the Man Box.